The historic Dixie Moon Cafe on Dean Street relocates to a new spot on Old 41 Road in Bonita Springs on Thursday. Dean Street, Felts Avenue and Wilson Street will close from 8 a.m. to 5 p.m. on Thursday because of this relocation. The historic building dates back to the 1920's, when it was originally home to Goodbread Grocery Store and Filling Station. Dixie Moon Cafe took over the building in the 1990's. Dixie Moon Cafe's new address will be 27300 Old 41 Road, Bonita Springs. 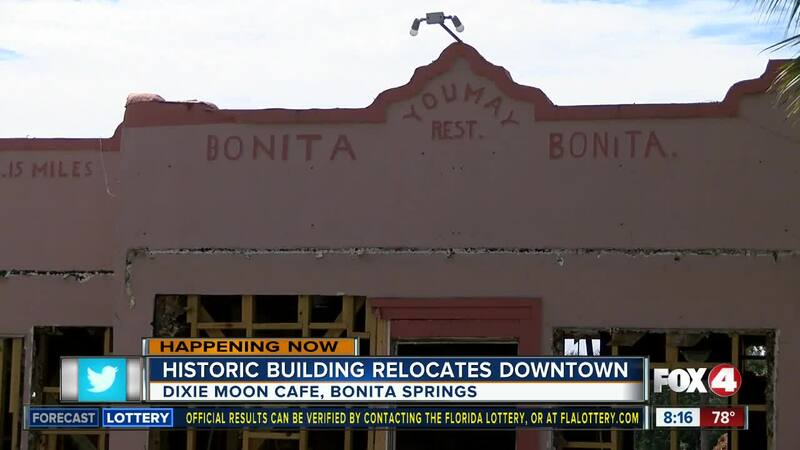 For more information on road closures or relocation, you can call the City of Bonita Springs at 239-949-6262 or click here .